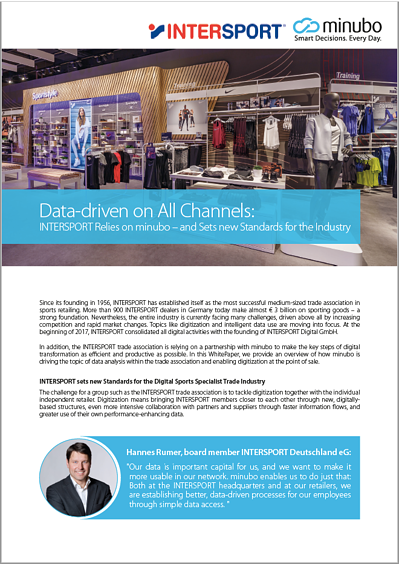 INTERSPORT Relies on minubo – Download Paper Now! In order to make the central steps of digital transformation as efficient and productive as possible, the INTERSPORT group relies on a partnership with minubo – with the minubo Commerce Intelligence Cloud as their central analytics system enabling data-driven management of the online marketplace and the "Store Monitor" tablet app creating a data-driven POS. Learn more in our paper!